Do you enjoy knitting, crocheting or quilting? Come join us the second Saturday of each month. Make new friends, create new projects and learn new tips. We enjoy socializing and prayer as we make special blankets, shawls and quilts for Floris family members and friends in need of comfort. Donations of soft, washable yarn as well as fabric and batting for quilting are gratefully accepted. For more information contact Carol Benson. 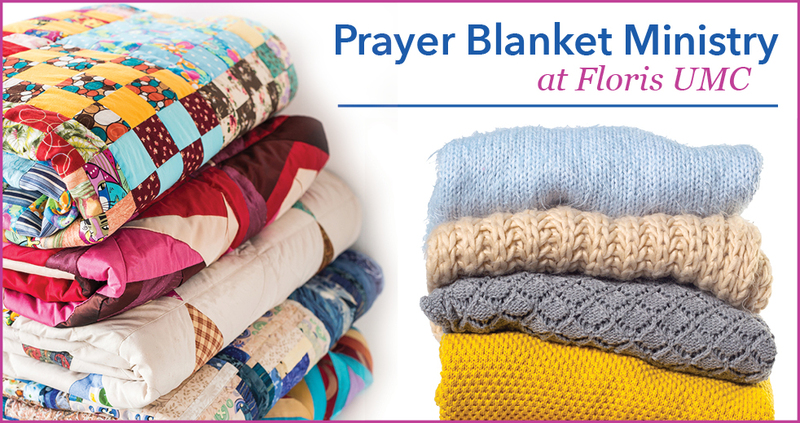 Do you know someone who is in need of a comforting prayer blanket? Members of the Floris UMC Prayer Blanket Ministry pray over shawls, blankets and quilts as they lovingly create them. Feel free to contact Carol Benson to request a blanket for a Floris friend or family member so that they may feel the love of Christ.